Did y’all have as much fun on Halloween as we did? We loved our Halloween costumes! Trick-or-treating was postponed until Friday, November 1 because of awful rain and winds on the 31st. We carved pumpkins on the 31st and still had a great night. 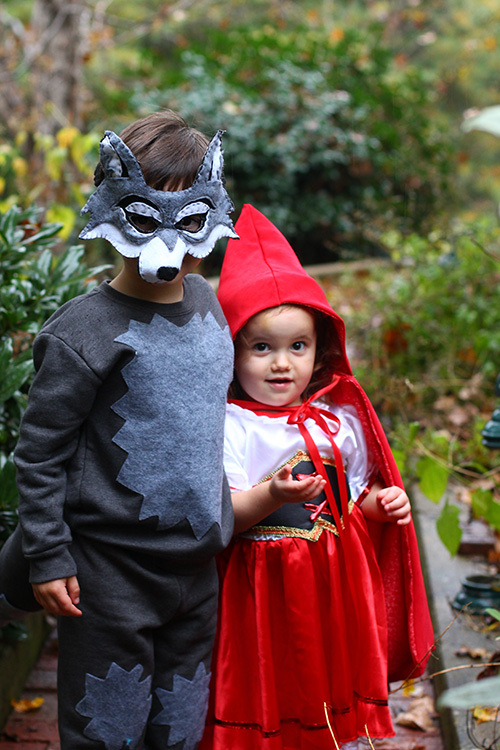 I came home from work a bit early on Friday so we could all get decked out in our Red Riding Hood gear. This was our first time doing a family theme and it was SO much fun. 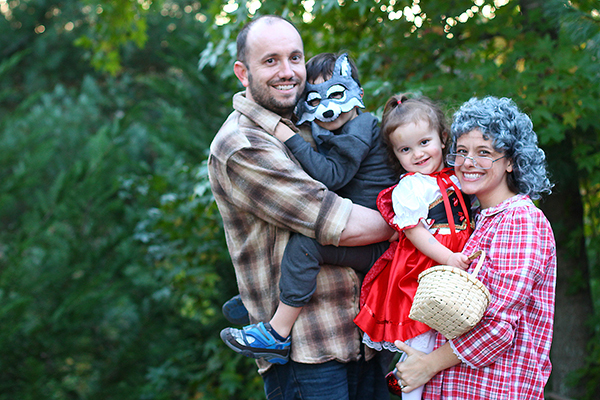 Matthew was the woodcutter, Elias was the wolf, Adeline was Red Riding Hood and I was the grandma. I followed this tutorial for Elias’s costume. The grey sweatshirt and sweat pants were from Wal-Mart. The tail was formed by cutting a leg off an extra pair of sweats, stuffing it and sewing it to the back of the pants. All of the felt elements were attached using stitch witchery. 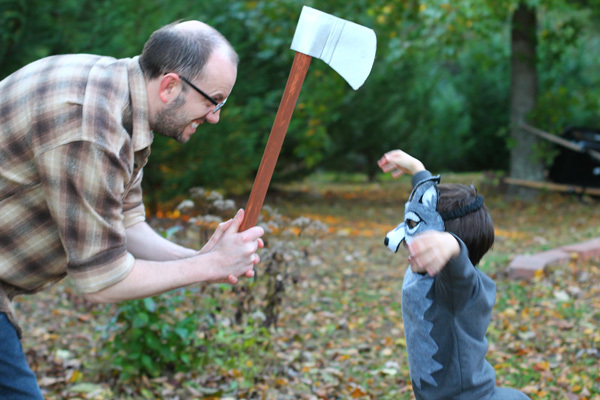 Elias LOVED being the wolf and pretending to scare everyone. I bought Adeline’s dress on Zulily and made her a long cape. The cape was a bit trial and error – I loosely followed this pattern, but made some adjustments on the fly. I found a wig on Amazon, glasses at The Dollar Tree and borrowed a nightgown from my grandma to complete my Granny look. We trick-or-treated for about an hour and a half. Our friends the Behms joined us and the kids loved having Hannah (Snow White) with us (despite Adeline’s annoyed face – she didn’t want to sit for a photo!). It was a Halloween to remember! Now it’s time for you to link-up your cute Halloween posts. 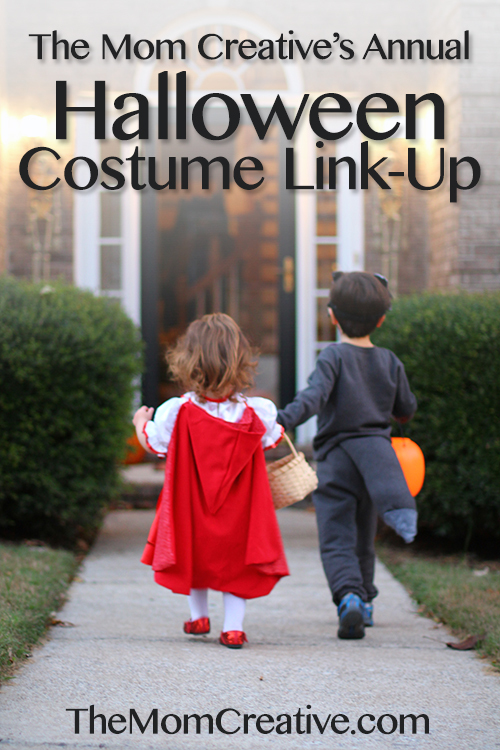 Please use the linky below to link directly to your Halloween post on your blog. Also, please link back to The Mom Creative so others can join the fun. 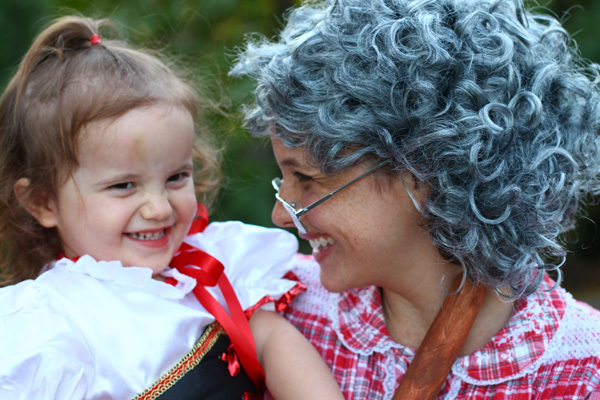 I can’t wait to see all your cute Halloween costumes! You guys are adorable! Too much cuteness in one link up! 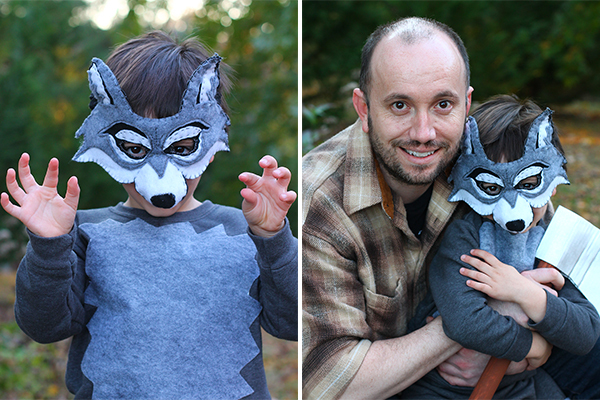 I am LOVING all the cuteness in this link-up. Your family was adorable. Yes, I am not a fan of cheesy! Thank you! What a great family costume!! You all look wonderful. Oh my you guys are sooo cute!! Loved your idea and outfits!! You are too sweet. Thanks so much. What did we do before Pinterest!? Jessica, I love these darling and creative costumes! 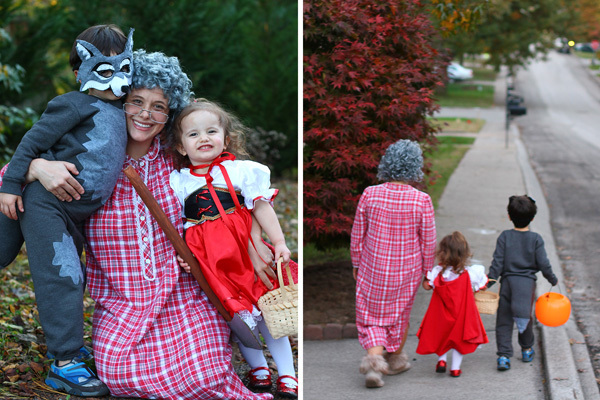 These photos make me excited to the Halloween when I have children someday! You outdid yourself this year, Jess! Ah-dorable! 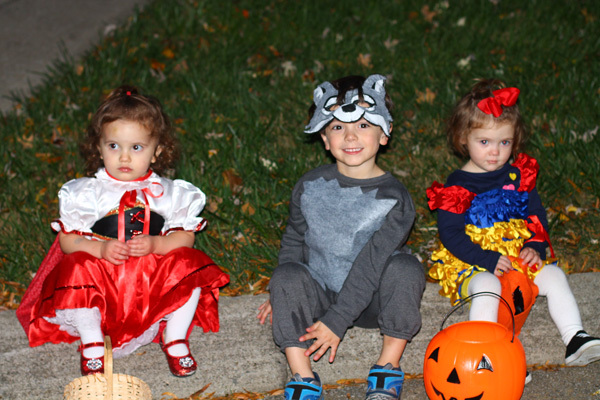 Your costumes are fabulous, Jessica! 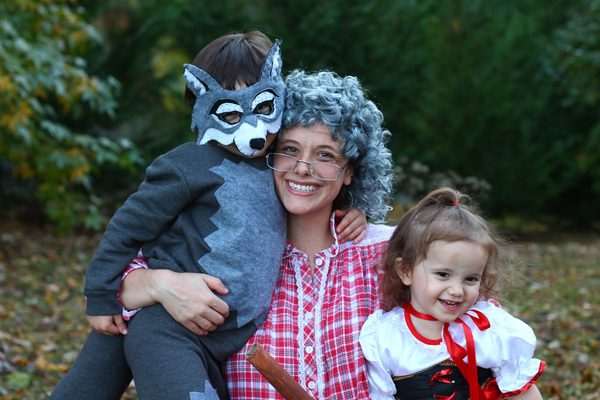 What amazing family costumes. I love them all. 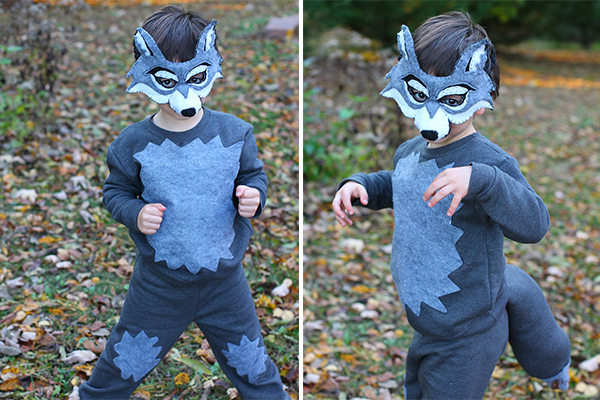 That wolf suit is adorable. Love that Halloween was postponed until Friday. The sun came out just in time for us to have a dry Halloween. I’m not sure what we would have done if it were raining. Your family is seriously cute! I love the costumes.